Low-power processors drive our favorite handheld gadgets, including smartphones and tablet computers. 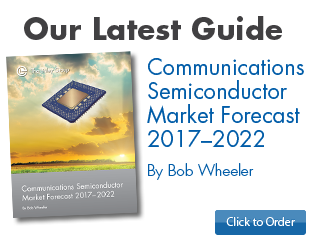 These processors can also be used in other low-power applications such as e-book readers, personal navigation devices (PND), and automotive in-dash systems. These highly integrated devices combine CPUs, graphics units, video engines, audio processors, security cores, and often additional features such as cellular, Wi-Fi, GPS, Bluetooth, and sensor hubs. 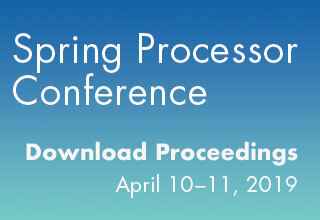 Mobile processors continue to innovate rapidly. The past year has seen the introduction of the first decacore processors, the first processors capable of UltraHD (4K) video, and the first with integrated 802.11ac Wi-Fi. Competition has bloomed in the 4G market, with at least seven vendors now shipping or having announced smartphone processors with an integrated LTE baseband. In addition, the market is quickly shifting to 64-bit ARMv8 processors. The biggest growth, however, is in low-cost smartphones using highly integrated devices that combine the application and baseband (cellular) processor and sometimes even the Wi-Fi combo onto a single chip. Leading vendors such as MediaTek and Qualcomm offer complete solutions that include processors, RF, power management, and even software. Low-cost tablets often use processors from Allwinner, Rockchip, and other Chinese suppliers. In 2014, Intel became a leading supplier of tablet processors and is now targeting smartphones with a new line of integrated processors called Sofia. "A Guide to Mobile Processors" covers application and integrated processors designed for handheld equipment. Companies covered include Qualcomm (SnapDragon), MediaTek, Spreadtrum, Intel (Atom), Marvell (PXA), Nvidia (Tegra), Samsung (Exynos), Huawei/HiSilicon, Allwinner, and Rockchip. 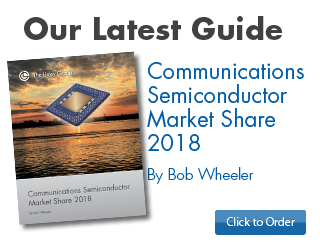 As the leading vendor of technology analysis for mobile and wireless chips, The Linley Group has the expertise to deliver a comprehensive look at this rapidly changing market. Analyst Linley Gwennap, Mike Demler and Loyd Case use their extensive experience in the mobile market to deliver the technical and strategic information you need to make informed business decisions. Whether you are looking for an innovative solution for your design, a vendor to partner with, or a rising company to invest in, this report will cut your research time and save you money. Get the inside scoop on this major market. 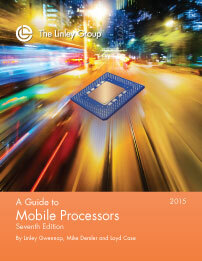 Order “A Guide to Mobile Processors" today. 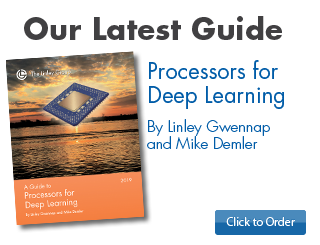 "A Guide to Mobile Processors" has been extensively updated to cover the announcements made since the previous edition. MediaTek's new Helio processors, the X20 and the P10. Qualcomm's first Cortex-A72 processor, the Snapdragon 620. Intel's first integrated smartphone processors, Sofia 3G and Sofia LTE. Samsung's octa-core Exynos 7, the heart of the Galaxy S6 smartphone. Qualcomm’s new low-end parts, the Snapdragon 415 and 425. MediaTek’s CDMA-enabled MT6735, MT6753, and MT6580. Nvidia's Tegra X1 processor with Maxwell graphics. Marvell's newest LTE processors, the PXA1908 and PXA1936. Qualcomm's Snapdragon 210, which brings LTE to ultra-low-cost smartphones. MediaTek's newest tablet processor, the MT8173. Spreadtrum's SC9830A and SC7731G for low-cost smartphones. GPU performance comparison for all processors using GfxBench. Updates on design wins, financials, strategies, and roadmaps for all vendors. 2014 and projected 2015 market share for application processors. Don't wait! Get your copy now to track the latest developments in this fast-paced market! Mobile devices serve our increasing desire to access anyone and anything at anytime. Smartphones provide ubiquitous voice and Internet connectivity as well as useful apps. Tablet computers provide a bigger screen for interacting with mobile content. These devices require an advanced processor that supports a sophisticated user interface and various applications. Many of them must decode multiple audio and video formats, displaying high-resolution images at smooth frame rates. To extend battery life, these functions must be performed at minimum power levels. The cost of the processor must be low as well: often less than $10. These processors, like the mobile devices they serve, are evolving rapidly. To enable faster web browsing, many of the newest models provide eight or more CPUs operating at up to 2.5GHz. Most can display and record high-definition (HD) video; a growing number can handle 4K video content as well. To support console-like games, they include powerful 3D-graphics accelerators (GPUs). We divide mobile processors into two types. Standalone application processors act as the main CPU in a mobile device, running the operating system and application software; they accelerate multimedia tasks and connect to displays and cameras. Integrated smartphone processors combine the application processor and cellular baseband on a single chip. We estimate that 1.95 billion mobile processors will ship in 2015, up 11% from 2014. The vast majority of these products ship into smartphones, with most of the remainder going into tablets. Nearly all non-Apple smartphones integrate the application processor (AP) and baseband (BB) into a single chip, although the Galaxy S6 uses a standalone Exynos AP. Only a few of these AP+BB chips are internally sourced. Apple is the largest consumer of standalone application processors, relying solely on its own designs. Excluding these in-house chips, a total of 290 million merchant standalone AP devices shipped in 2014, a number we expect to decline 5% in 2015. Even in the tablet market, we see a shift toward cellular tablets that use integrated AP+BB chips, eating into the standalone-AP market. Merchant AP revenue peaked at $4.6 billion in 2013 and will fall more than 40% by 2017 as high-end smartphones continue to shift to AP+BB products. After a strong 2014, Qualcomm has regressed in 2015, losing share at both the high end and midrange of the smartphone market. Samsung chose Exynos for the Galaxy S6 after using Qualcomm in nearly all Galaxy S5 models. At the midrange, MediaTek leapt into the LTE market and gained share. Qualcomm remains the technology leader and hopes to win back share with an impressive lineup of new processors. MediaTek is the leader in low-cost smartphones and is working its way up the price stack. The company continues to innovate, delivering the industry’s first 10-core processor and the first Cortex-A72 chip. It has also become the leading supplier to the white-box tablet market. The Asian supplier benefits from its strong relations with leading Chinese smartphone makers. Spreadtrum also targets low-cost smartphones, ranking third in overall unit shipments of mobile processors. Unlike MediaTek, the company continues to lag in technology, relying mainly on 40nm single- and dual-core processors. Now a Chinese state-owned enterprise, Spreadtrum may be able to invest more in product development. Intel has spent billions of dollars in subsidies to gain a solid share of the tablet market, shipping 46 million tablet processors in 2014, but we expect many of these customers will switch back to ARM once Intel stops giving away its chips. The company’s smartphone hopes rest with Sofia, its first integrated AP+BB processor. The initial 3G Sofia has few design wins, but the forthcoming LTE version may do better. Having only 2% share in mobile processors, Marvell is well behind the leaders. Its AP+BB chips appear in some phones that sell into China, but they have yet to catch on elsewhere. The company’s lagging technology forces it to target low-end smartphones, where it competes against low-cost vendors such as Spreadtrum. Samsung was first to market with a 14nm mobile processor, Exynos 7, which appears in the Galaxy S6. The company has also developed its own LTE baseband processor, and we expect it to deploy an AP+BB chip in the next year. Although Samsung sells Exynos to a few outside companies, it consumes the bulk of these processors in house. Nvidia continues to deliver high-performance Tegra processors for tablets and automotive. The recent Tegra X1, however, has yet to win a single tablet design. Automobiles generate a quarter of all Tegra revenue. Several Chinese vendors offer low-cost standalone AP chips for tablets, mainly white-box and off-brand models. In the past year, Intel’s subsidies and MediaTek’s advances have left little room for these suppliers. Former leaders Allwinner and Rockchip have lost share, and smaller vendors such as Actions and Amlogic are abandoning the tablet market. 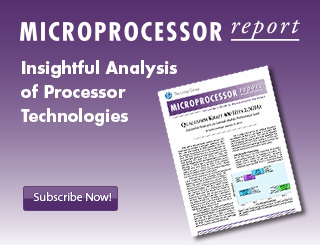 Despite these exits, the application-processor market remains crowded; this report covers more than a dozen suppliers plus internal designs. Although an application processor can easily be assembled by licensing an ARM CPU and some multimedia accelerators, vendors are differentiating on the basis of CPU performance, GPU performance, video capabilities, solution size, power efficiency, and software support. This report examines announced products using these metrics to determine the best choices for each type of mobile device. What Is an Application Processor? Figure 1‑1. Handset-market segmentation in 2013. Figure 2‑1. CPU pipelining examples. Figure 3‑1. Block diagram of a generic mobile processor. Figure 3-2. Video power-consumption comparison. Figure 3-3. Standard hard-wired 3D pipeline. Figure 3-4. Standard programmable 3D pipeline. Figure 3-5. Standard image-processing pipeline. Figure 3-6. Stacked-die and package-on-package techniques. Figure 3-7. Block diagram of generic smartphone with application processor. Figure 3-8. Block diagram of generic tablet computer. Figure 4-1. Smartphone-vendor market share, 2014. Figure 4-2. Unit market share for processors in smartphones, 2011–2015. Figure 4-3. Unit market share for mobile processors, 2014–2015. Figure 4-4. Unit market share for standalone AP chips, 2014–2015. Figure 4-5. Mobile-processor shipments by type, 2012–2019. Figure 4-6. Merchant-AP unit forecast by end application, 2012–2019. Figure 4-7. Revenue and ASP for merchant standalone AP chips, 2012–2019. Figure 5-1. Intel’s RealSense stereoscopic-camera system. Figure 5-2. Market share of 64-bit mobile processors, 2012–2019. Figure 5-3. Average number of CPU cores in mobile processors, 2012–2019. Figure 6-1. Block diagram of Intel Sofia LTE in a smartphone. Figure 7-1. Block diagram of Marvell PXA1936 in a smartphone. Figure 8-1. Overview of MediaTek’s processor lineup. Figure 8-2. Block diagram of MediaTek MT6592 CPU cluster. Figure 8-3. Block diagram of MediaTek MT6797 smartphone platform. Figure 9-1. Overview of Qualcomm Snapdragon processor lineup. Figure 9-2. Die photo of Adreno 420 GPU. Figure 9-3. Block diagram of Snapdragon 210 in a smartphone. Figure 9-4. Block diagram of Snapdragon 620 in a smartphone. Figure 9-5. Block diagram of Snapdragon 810 in a smartphone. Figure 10-1. Block diagram of Spreadtrum SC9830A smartphone processor. Figure 10-2. Block diagram of Spreadtrum LTE reference design. Table 2‑1. Standard screen sizes. Table 2‑2. Cellular technologies and data rates. Table 3‑1. CPU performance metric. Table 4‑1. Unit and revenue share for standalone APs, 2014–2015 (forecast). Table 6‑1. Key parameters for Intel Atom smartphone processors. Table 6‑2. Key parameters for Intel Atom tablet processors. Table 7‑1. Key parameters for Marvell PXA integrated processors. Table 8‑1. Key parameters for MediaTek low-cost smartphone processors. Table 8‑2. Key parameters for MediaTek high-end processors. Table 9‑1. Key parameters for Qualcomm low-end processors. Table 9‑2. Key parameters for Qualcomm midrange/high-end processors. Table 10‑1. Key parameters for Spreadtrum 28nm smartphone processors. Table 11‑1. Mobile-processor vendors and products. Table 11‑2. Key parameters for Actions tablet processors. Table 11‑3. Key parameters for Allwinner tablet processors. Table 11‑4. Key parameters for recent Apple processors. Table 11‑5. Key parameters for HiSilicon application processors. Table 11‑6. Key parameters for Leadcore application processors. Table 11‑7. Key parameters for Nvidia Tegra application processors. Table 11‑8. Key parameters for Rockchip mobile processors. Table 11‑9. Key parameters for selected Samsung Exynos processors. Table 12‑1. Comparison of processors for ultra-low-cost smartphones. Table 12‑2. Comparison of processors for low-cost smartphones. Table 12‑3. Comparison of processors for midrange smartphones. Table 12‑4. Comparison of processors for high-end smartphones. Table 12‑5. Comparison of processors for low-cost tablets. Table 12‑6. Comparison of processors for midrange tablets. Table 12‑7. Comparison of processors for high-performance tablets.